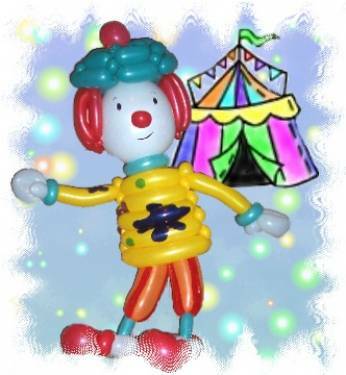 Description: This little clown was made for a JoJo's Circus theme birthday party. It stands pretty close to 3 feet tall. Thank you to Rob Balchunas, Adam Newman, and Jeff Wright for their inspiration and advice.